Work has started on Western Sydney’s newest sports stadium on the site of the old Pirtek stadium in Parramatta. Due to open in 2019, the 30,000-seat stadium will be able to cater for bigger crowds, provide an improved game day experience, but most importantly, will offer Western Sydney’s economy a huge shot in the arm, with all the steel used in the construction to be processed locally. Together with that, some $60 million in local contracts are now in place with local companies for design, demolition, civil works, remediation, piling and building services. “It will offer the most advanced technology in the country, with incredible state-of-the-art broadcast capabilities and wi-fi, ensuring sports and music fans have a phenomenal game day or concert experience,” he says. The NSW Government says it is delivering world-class sports and entertainment infrastructure, and is “committed to put local businesses first to ensure jobs and profits from these projects stay local”, according to NSW premier Gladys Berejiklian. “This is an enormous investment in Western Sydney with more than 75 percent of construction contracts so far have being awarded to local suppliers for products such as structural steel and pre-cast concrete,” she said. Lendlease is the design and construct operator on behalf of Infrastructure NSW, who will work in partnership with architects Populous and engineering consultants Aurecon. The stadium will also be able to be converted for large music and other public events, and will come with a 3000 seat VIP area. 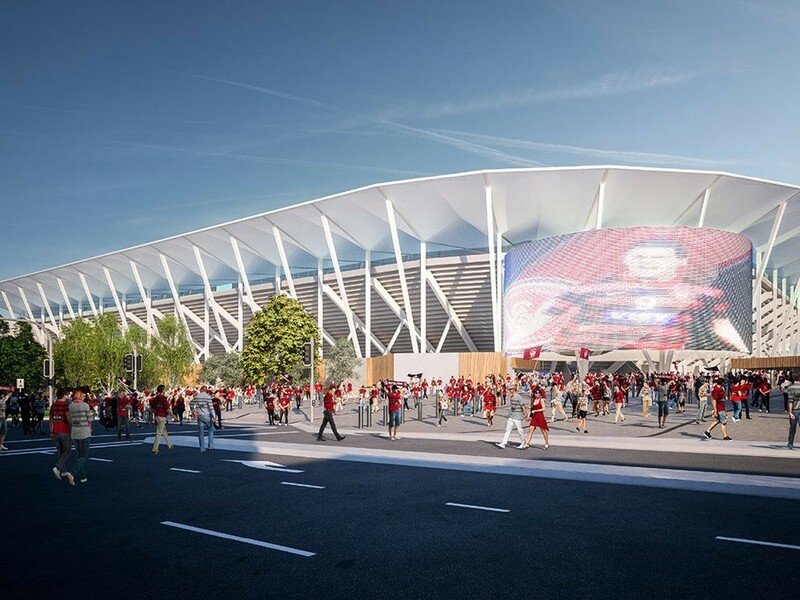 With a final cost of $1.6 billion, the new stadium that due to open in 2019 and will be the home ground of the Parramatta Eels NRL club and the Western Sydney Wanderers A-League football team.